This recipe comes from Carol, a friend of mine at work. Carol doesn’t share just any old thing when it comes to work-lunch potlucks. 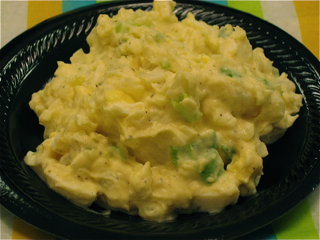 Last time around she brought this stellar potato salad. Everyone loved it! Which is why I am posting on the site. Thanks Carol!